The Animal Nanny is licensed, bonded, and insured! Dog Walking And Pet Sitting are the easiest ways to make sure your best friend is safe, healthy and happy while you're away. Don't your pets deserve the best? Founded on a philosophy of safety, reliability and trust, The Animal Nanny is San Francisco's top choice for high-quality dog walking and pet sitting services. The Animal Nanny is licensed, bonded and insured to guarantee the highest levels of care and utmost professionalism for your pet and property. 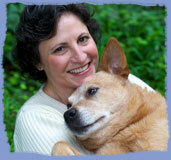 Nannies always create a safe, enjoyable experience for each pet's comfort. With The Animal Nanny, you always get reliable professionals that treat pets like their own, a convienient and flexible dog walking and pet sitting service for any type of schedule, the ability to administer most medications including injections, and individualized attention and care. The Animal Nanny's dog walking and pet sitting experts can deliver peace of mind to pets and their people in San Francisco. 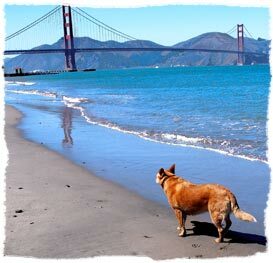 Why Hire a San Francisco Dog Walking and Pet Sitting Service? A well exercised dog is less likely to display destructive behavior in your home. Providing a stimulating break during the day could help prevent separation anxiety, which can be painstaking to treat. Because most of us work full time it is almost impossible for us to provide all of what our dogs need without help. Seeking the services of a professional dog walker is a great way to get the help you need. Your pets thrive on routine and familiarity. For most pets, their home is their sanctuary, and some animals simply get nervous when boarded at a kennel. 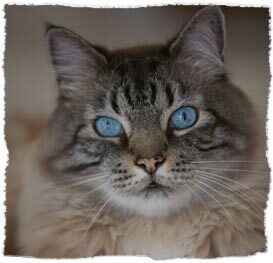 A pet sitting service can alleviate that nervousness while guaranteeing that your pets get the food, medicine and attention that they're used to throughout the day. Whether you need dog walking or cat sitting, our dog walking and pet sitting team conforms our schedule to fit their normal routines. emergency management. She has also served as hospital manager for two veterinary clinics. She previously owned and operated a canine swim therapy business for seven years ... click here to read more. If you'd like to pay your invoice please click the "make a secure online payment now" link on your Confirmation Email. Click here for more info! The Animal Nanny has three branches serving the Bay Area!